Our range of products include two wheeler foot rest, steel bumper guard, front guard, all round automobile guard, foot rest and automobile guard. We are one of the most renowned names of the market engaged in offering exclusive Two Wheeler Foot Rest to the esteemed clients. The entire range is made available to the clients in a variety of sizes and other specifications to meet their exact needs in an efficient manner. In addition to this, we can customise these Foot Rest as per the exact details provided by the clients. 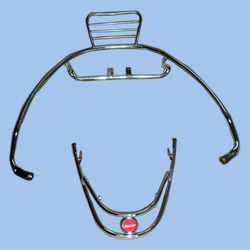 These high quality Steel Bumper Guard are made by using very heavy and high quality raw material which ensures high durability at its user end. These Honda Accessories are widely available in various specifications and dimensions. We offer a wide range of Auto-connector assembling Front Guard to our clients. 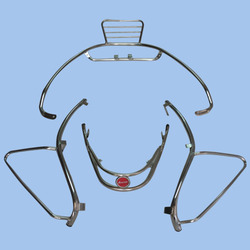 These Front Guard parts are made from premium quality of raw materials. These Auto-connector assembling Front Guard parts are available at industry leading price. We offer a wide range of Auto Accessories asAll Round Automobile Guard, which are made of superior quality material. 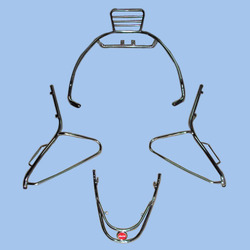 The spare as Honda Aviator All Rounder Guard we offer are mainly used to pack various Auto accessories. These protects auto parts from any damaging and prevents from the moisture. We are a big warehouse for Foot Rest Auto Parts and Accessories. These Foot Rest Accessories can be customized as per our precious customers specifications. 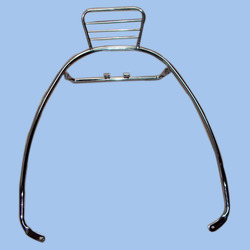 These Foot Rest Auto Parts and accessories are widely known for its durability and quality. Our customers can avail from us a wide range of Bidding Part, which are made from high grade quality raw materials. Our Honda Aviator Bidding are widely appreciated by our clients for its durability. 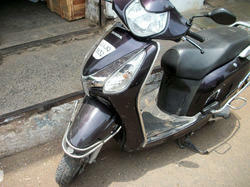 Our Honda Aviator Bidding can be availed at industrial leading price.